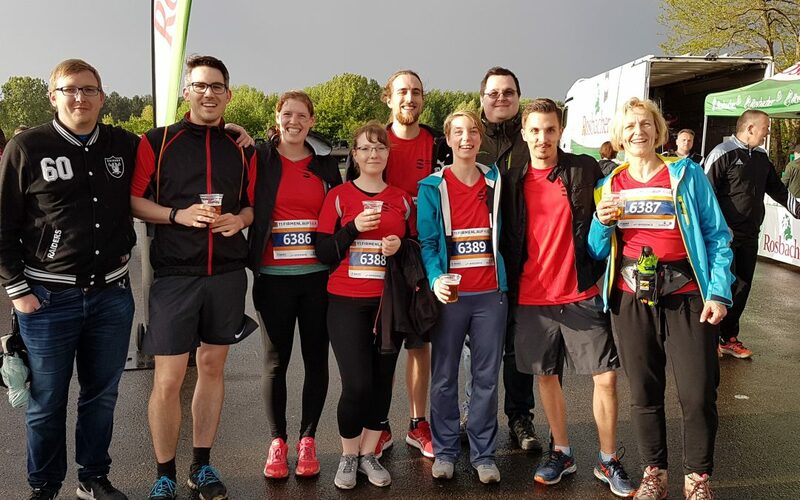 At this years 11th companies run (Firmenlauf Köln, April 26th) with over 6400 participants and 166 teams Spectral Service’s running team Spec Attack started again with seven team members – all in new Spectral Service fashion. 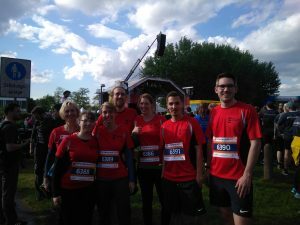 Thanks to the management we were provided with running shirts in the company’s design. Under stringent conditions (heavy rain prior to the start at 6 p.m., alternating rainy and sunny parts and cool temperatures) our team always remained at the wheel in good mood. Even our small but cheering supporting team didn’t want to miss this event – thank you! So, we all agreed to be back next year – with even more team members.